And while we’re on the subject, I’m also thankful for his sudden anger outbursts from time to time…. DING DING DING! Bring on Round 2! WE are thankful for hockey conditioning. BOOTY BOOTY BOOOTY BOOOTY ROCKIN’ EVERYWHERE! I feel like I can actually see his a$$...or is that just my eyes?? 6. We are thankful for hockey sweaters. The amount of times so fair this season that we’ve had risky business style dance parties…GOOD LORD!! Nothing can replace the fun of those moments. Thick socks, nice comfy underwear, & sweater of your choice + some EPIC music == BEST NIGHT EVER. 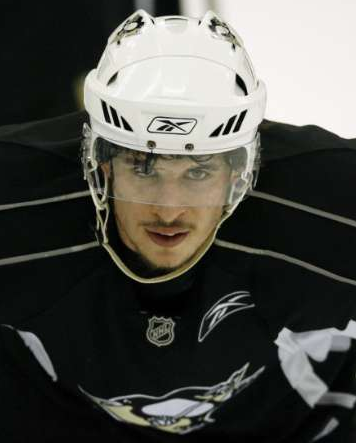 in fact, tonight...we're having a dance party in honor of our Captain's return. My name is Sarah, I’m number one. My Razzle Dazzle, has just begun. So when you see me…step aside. You know Sarah don’t take no jive. Hometown Team: Minnesota Wild (Used to be Northstars when I was there), LA Kings, New Jersey Devils, Boston Bruins, and Tampa Bay Lightning…If you are smart you have caught on by now that I don’t have a true hometown. 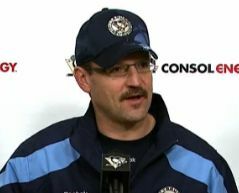 Coach of the year: Dan Bylsma- If he doesn’t win the Jack Adams I will question all that is true in this world. Favorite Tweeter: Colby Armstrong. That boy has me dying laughing half the time and OOOhhhing and Awwwing at how sweet he is. 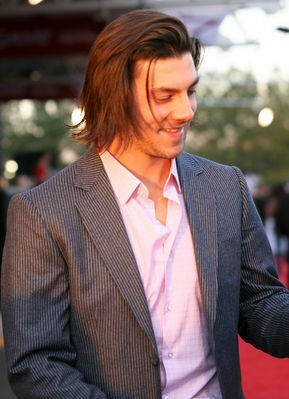 Least Favorite Player: P.K. Subban. It’s simple, learn your place Rook! Respect has to be earned. 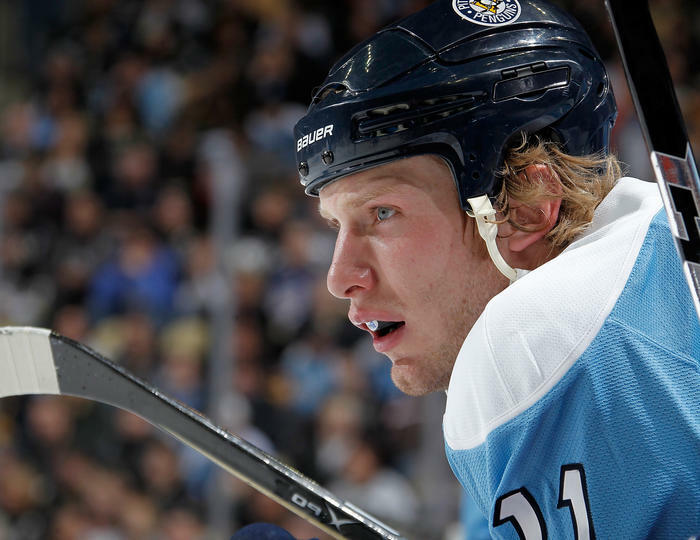 Favorite Blog(s): What’s Up Ya Sieve? and The Hockey Junkies. Fellow female hockey bloggers. More often than not, my halo is being held up by my devil horns. Sarah always likes to say that the Holy Water boils the second I step foot in a church. And while I may try to laugh it off…she’s probably right. Most people try to tag me as the Football girl (which is partially true). What they don’t know about me is that my very first sporting event (at age 8) was a Providence College v Clarkson University hockey game. If any of you know College hockey, you know that back in the day PC and Clarkson were huge rivals (dad went to Clarkson and his little brother went to PC). Pretty sure that was the night I fell in love with the sport. Unfortunately, my love for hockey was put on hold and the cheerleading/football life took over. It was just the way of life in the little town I grew up in. You were either a cheerleader or a football player…and if you were neither, well…I feel bad for you. Once I was sidelined (indefinitely) in high school, due to injury, I began to discover there was life outside football. There’s something relaxing about the sounds of a hockey game. Not sure if its the skates on the ice, the puck being slapped around, or bodies being checked into the boards…but whatever it is, I love it. 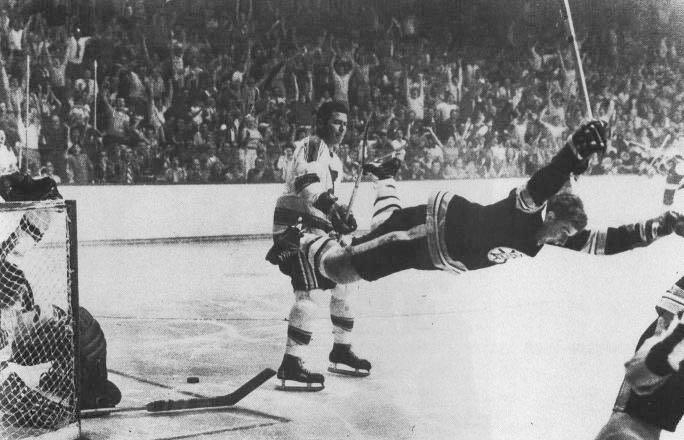 Favorite Old Timer: Bobby Orr. One of these days I will have a “woman cave” in my house and the big picture of Orr tripping while scoring “the goal”….right next to my bubble hockey table. Scariest Player: The Human Tree…I’m a Bruins fan…but Chara scares the you-know-what outta me. Favorite Blog(s): What’s Up Ya Sieve? –these girls have me rolling all day long. Not sure how I stumbled over there blog, but when I did I spent 5 hours catching up on all the posts I missed. Check it!